Those who have been exposed to special needs individuals would know that given the proper interventions, these individuals will go a long way in life. But we also know that these interventions come with a price. And to those who have been blessed to have access to these interventions, there is no better way to give thanks than to pay it forward. This is being true to our design as creations of our God who is loving and generous. With the help of the Sta. Rosa Chapter and Los Baños Chapter of the Autism Society Philippines, the Los Baños Association of Parents with Disabilities, volunteers and friends, we conducted a free occupational, speech, special education and psychology assessments to special needs individuals from indigent families last 30 November 2013 at the New Los Banos Municipal Hall. 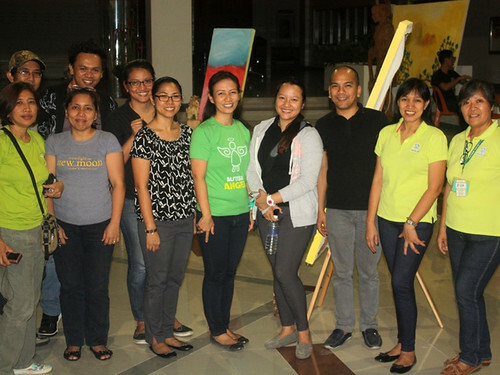 In the spirit of bayanihan, certified professionals worked with volunteer parents. After this activity, trained volunteer parents will act as therapists to implement the recommendations of the professionals not only to their own children; but also on other children within the community.